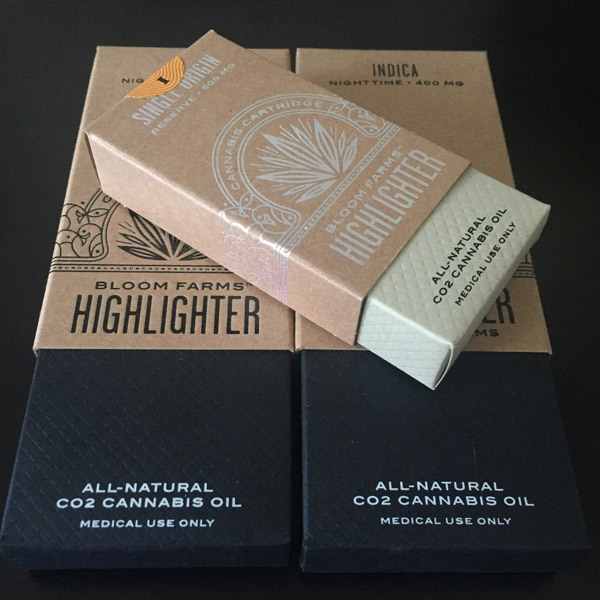 Bloom Farms products exude elegance – their packaging is exceptional, their pens are simple and their cannabis oil is reliable and tasty. You couldn’t ask for more… but there is! Beyond their excellent products, Bloom Farms is a company the cannabis community should root for. They strive to do good for the benefit of the larger community by making it part of their mission to end hunger in California and legitimize the cannabis industry. Bloom Farms vape products are simple and elegant and we had the opportunity to try out two of their beautifully made products: the Bloom Farms Highlighter in indica and their Single Origin Mango Kush cannabis oil cartridge. 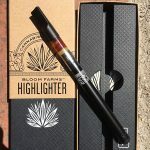 Their starter kit – The Bloom Farms Highlighter – consists of a vape battery pen, a 500 mg cartridge pre-filled with cannabis oil, a USB charger, and a lifetime guarantee. The kit comes beautifully packaged and is available in indica, sativa, and hybrid. The packaging, cartridge and pen are all appropriately color coded (black for night: Indica, white for day: Sativa, and grey for anytime in between: Hybrid) so you can remember which is which. The pen itself is the basic pull design with a ring of light dots that light up when it’s in use, plus there is a handy stylus tip in case you need to type out a quick text while medicating. The battery is compatible with universal 510 threaded cartridges. It’s very discrete and stylishly decorated with just a few curlicues and (thankfully!) no obnoxious logos so it’s perfect for those medicating on the down low. 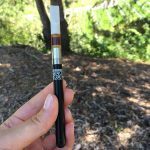 The cartridge that comes with the kit has a tapered mouth piece and is plastic, which is a slight worry for this reviewer, but the oil inside is top notch. 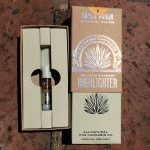 When we tested the indica cartridge that came with the Highlighter, we were happily mellowed with the slight lemony cannabis flavor and gentle effects. Bloom Farm uses no artificial flavors and the only additive is one that helps provide a consistent draw. 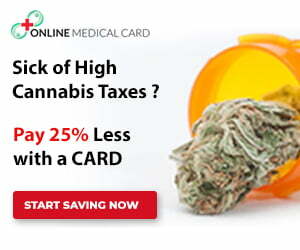 The oil is formulated for 45-50% THC which falls in the middle range when compared to other cartridges on the market. The original flower used to produce the oil is locally sourced in California and is either grown by Bloom Farms themselves or is sourced from an organic farm. After harvesting, the cannabis is tested then processed in a supercritical CO2 extraction system. The raw oils are then refined to remove any lipids, waxes, or other impurities then gently mixed with a touch of pharmaceutical grade PEG 400 which helps lower the vaporization temperature. The final product is tested one last time before it is put into the cartridge. Refill cartridges for the starter kit are available in indica, sativa and hybrid. 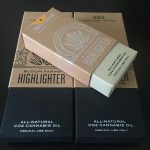 Bloom Farms Single Origin Reserve cartridges are the newest addition to their line of products – for the true cannabis connoisseur, these cartridges are strain specific and also specify in which area of California they are grown. We tested their Single Origin Mango Kush, an indica dominant-hybrid grown in Garberville, which is known as “the marijuana heartland of the U.S.” We were impressed! The Mango Kush Single Origin cartridge has a more pure cannabis flavor and a stronger hit than the indica that came with the Highlighter. The oil is also slightly lighter in color which hints at a slightly more refined process for these oils. Single Origin Reserve cartridges are also available in Electra-Tsu CBD (from San Juan Ridge, CA) and OG Kush and Blueberry Haze (both grown in Mountain Ranch, CA). 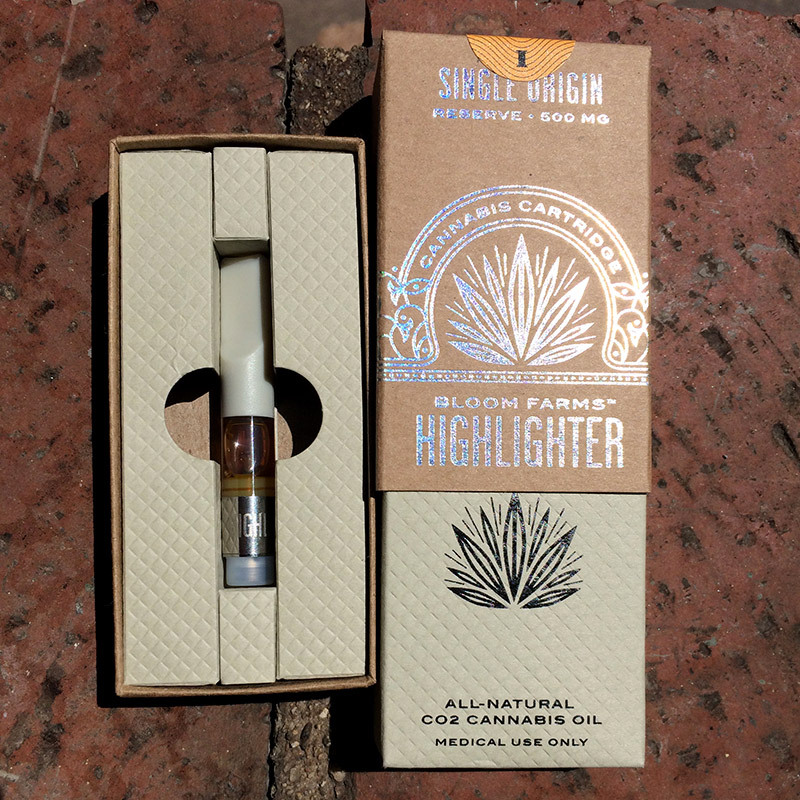 The Highlighter kit is available for $50 and the Single Origin Cartridge is $40. 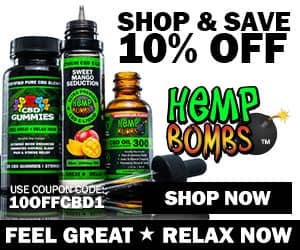 Available in dispensaries around Southern California, check out the Bloom Farms website to find out where to buy their products at a location near you! Bloom Farms is a one for one cannabis company. For every product purchased, Bloom Farms donates a healthy meal to the SF Marin Food Bank which goes directly to a food-insecure family or individual in need. Rolling out new community food bank partners is one thing we can stand behind. It’s also great that their products are derived from sustainably farmed and responsibly made methods. Bloom Farms believes in living life to the fullest. They aim to bring a healthy perspective to life with cannabis and promote positive energy, cannabis education, and cannabis as part of a healthy lifestyle with the aim to remove the negative social stigmas of cannabis – ideals in the marijuana community that are necessary as the push for legitimization and legalization continue. Follow @BloomFarms on twitter to see what they’re up to.